For decades, Viceroy L’Ermitage Beverly Hills has been the epitome of Hollywood glamour and a central hub for Hollywood’s elite. 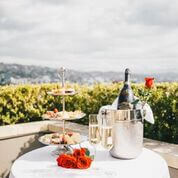 Established as a relaxing yet inspiring environment for cultural icons, Viceroy L’Ermitage Beverly Hills has stood the test of time and remains at the center of the Los Angeles’ entertainment scene and culture. Viceroy L’Ermitage Beverly Hills has had star-studded guests as well as has been a place of inspiration for screenplays such as Good Will Hunting, The Godfather, Jaws, Ocean’s Eleven and The Graduate. It is safe to say that Viceroy L’Ermitage Beverly Hills’ fascinating history has been nothing less than iconic with an emphasis on luxury. More recently, Viceroy L’Ermitage Beverly Hills launched advanced guest room technology from SONIFI Solutions ushering in a more immersive guest experience through streaming, easy-to-use menus, and a newly designed and highly responsive remote control. 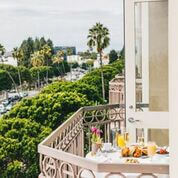 Located just off Rodeo Drive’s high-end and heavily trafficked shopping district, Viceroy L’Ermitage Beverly Hills has long distinguished itself by maintaining modern elegance in a comfortable, intimate setting. Through SONIFI’s seamless and customizable technology, the five-star property is now capable of better accommodating guest needs while maintaining their privacy. Additionally, Viceroy L’Ermitage Beverly Hills is assuring four-legged family members have a luxurious experience on par with their humans. 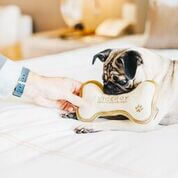 The hotel is partnering with ​Wags and Walks​ in promotion of their new “Canine Club,” a pet-friendly amenities program offered to all guests wishing to travel with their beloved furry friends. Viceroy will donate 50% of their standard $150 pet fee to Wags and Walks, a local adoption center and community that works to support and promote shelter dogs through their family-friendly foster and adoption programs. The Canine Club features amenities catered to a Rodeo-loving Rover including a custom Viceroy dog bed, leash, porcelain food and water bowls, courtesy bags for walks, plush pet toys, and turn down treats, and a custom gourmet menu by their culinary all-star staff that considers dietary restrictions and allergies. Concierge services can also provide a curated Beverly Hills pet guide of nearby pet-friendly restaurants, parks, spas and boutiques as well as arranging dog walking services. For more information on Viceroy L’Ermitage Beverly Hills, visit their website.